Introducing the Department of Hawaiian Home Lands 2017 Legislation Page. 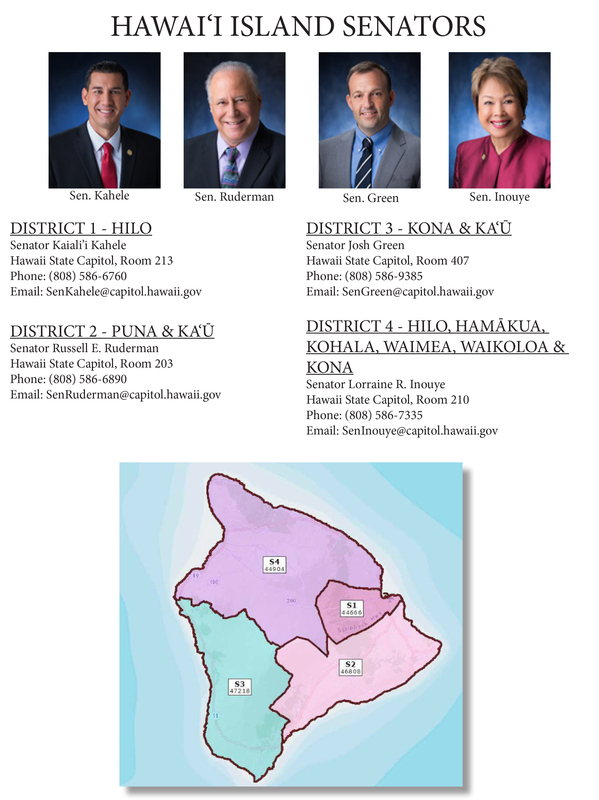 Visit dhhl.hawaii.gov/legislation to find resources on navigating the Hawaiʻi State Legislature this 2017 legislative session. If you would like updates sent directly to your inbox, enter your email address in the Subscriptions section of the webpage to subscribe to any webpage updates. Track Legislation – Currently, the Hawaii State Legislature is considering 16 measures that could impact the DHHL and beneficiaries. On this page, you’ll get the latest updates on committee hearings, legislative actions taken, and opportunities to testify on these measures. 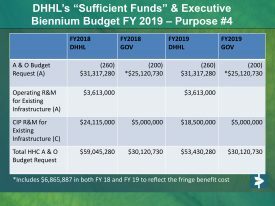 DHHL Budget – The Department’s budget request for administrative and operating costs total $59,045,280 and $53,430,280 annually for fiscal years 2018 and 2019, respectively. 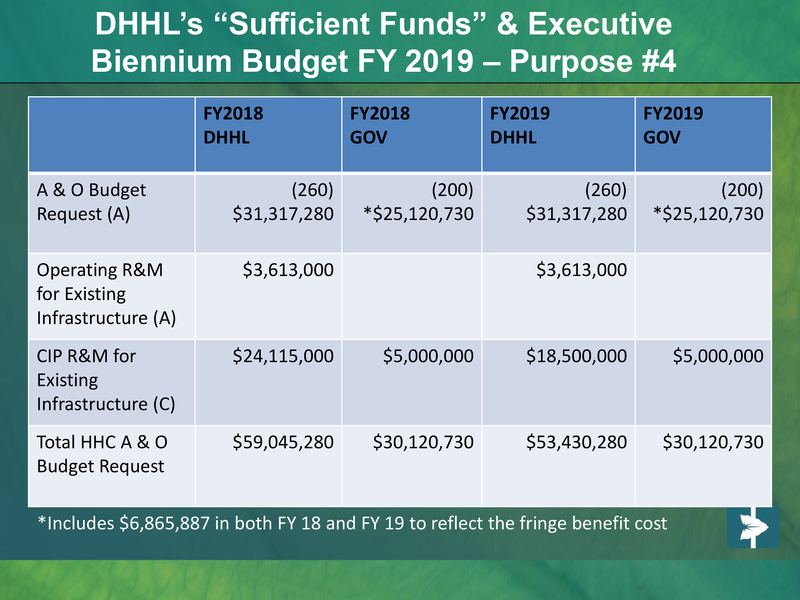 In addition, the Department’s budget request for Purposes 1, 2, 3 of Article XII, Section 1 (Lot Development, Loans and Rehabilitation Projects) total $196,055,100 and $209,234,100 for FY 2018 and 2019, respectively. Here, you’ll find a breakdown of the budget and the latest on the budget bill at the Legislature. 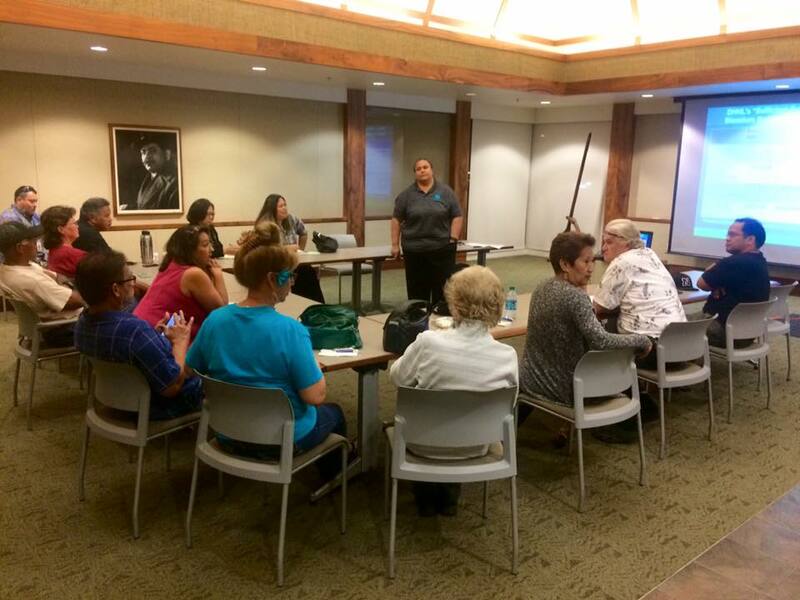 Legislative Talk Story Sessions – The DHHL is holding workshops on DHHL’s budget request, legislative proposals, and other issues of interest. On this page, you’ll find the workshop presentation, upcoming schedule, and information on how you can arrange a workshop in your community. 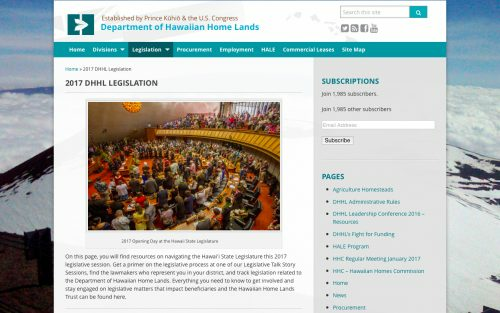 Legislative Resources – Get a primer on the legislative process with a presentation tailored to beneficiaries, find the lawmakers who represent your district, add important dates from the 2017 Legislative Calendar to your schedule, and figure out how to navigate the Hawai’i State Capitol.